my husband does back flips over this bbq pulled chicken. it is tender and melts in your mouth. use the reserved bbq sauce for the top of your sandwich or on the side if you are eating without a bun. great with our creamy homemade coleslaw. now, this makes A LOT of pulled chicken. you can freeze whatever you do not use or cut down on the serving amount. 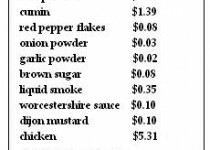 please tell me what bbq restaurant will give you bbq pulled chicken for this price! for rub: combine all ingredients in a small bowl. sprinkle generously over chicken. put chicken in a bowl and let marinate over night. to make bbq sauce: in a small sauce pan, melt butter. add chopped onions and saute until translucent about 5 minutes. add remaining ingredients and stir until combined. let cool. to assemble: add about 1/4 cup of the bbq sauce on the bottom of the crockpot. place sliced onion on top pf the bbq sauce as a bed for the chicken. place marinated chicken on top of the onions. reserve 1/2 cup of your bbq sauce in a separate bowl. pour remaining bbq sauce on top of the chicken breasts. cook on low for 8 hours. shred the chicken and stir into the juices within the crockpot. If you make this recipe and don’t have to share it with anyone, you can eat off of it for days. I know this is meant to be a main course, but it’s so good that I snack on it all day. The bbq sacue is amazing…very flavorful and smoky, giving the chicken a “straight-from-the-grill” taste. 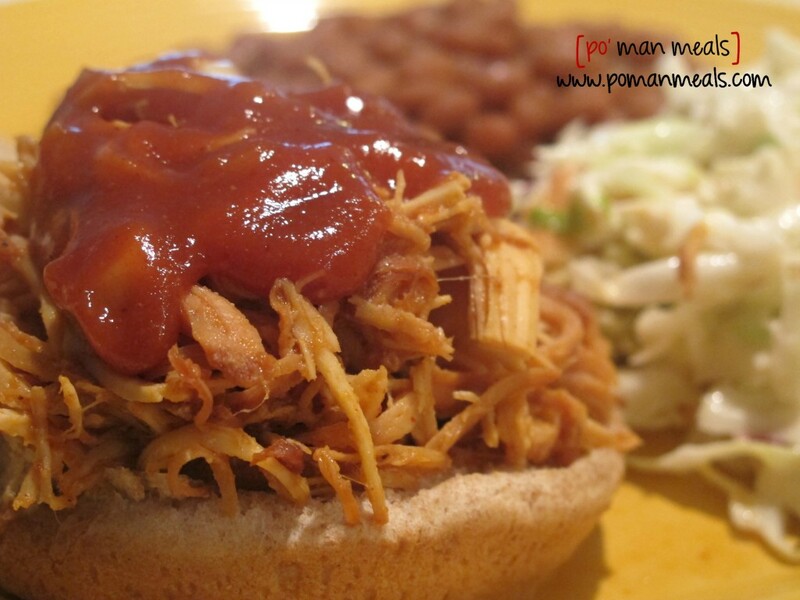 We love pulled barbecue pork so…….I know we’ll love this! What a great summer meal! Thanks for posting it. Hey Niece! Once a month my church Matrons group provides a free lunch for the community. This month was my turn to cook. I have been waiting to try this recipe with the baked beans and cole slaw of course. Girl, shut yo mouth! They were coming back for seconds! Good thing I left some at home. Love ya! hi auntie! you crack me up every time i read your comments. i am SO glad you liked the recipe cause you were sharing it with the community! lol. thank you so much for letting me know. love you!